The collision repair industry benefits from accessibility to clear and concise documentation regarding processes and procedures that are necessary to produce warrantable repairs. 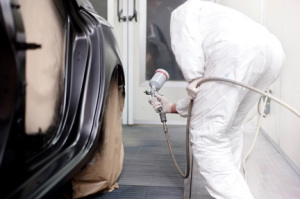 In July, the Society of Collision Repair Specialists (SCRS) issued a request to automotive refinish coatings manufacturers with an intent to update documentation on the issue of mid-panel clearcoat blending. Previous correspondence collected 10 years prior had demonstrated a consistent requirement for clearcoat application to extend across an entire panel, to the nearest breakpoint, in order for the repairs to be covered under refinish manufacturer warranties. What is your company’s recommended procedure for applying clearcoat to qualify for a lifetime refinish warranty? For more information about SCRS, or to join as a member, please visitwww.scrs.com.